The ground floor of 773 St. Nicholas Avenue has housed Harlem’s nightlife for the longest continuous duration since the 1930s. It enjoyed particular notability in the 1940s as Lucky’s Rendezvous, owned by the legendary stride pianist Charles Luckeyth Roberts, who was the first of his colleagues to publish a composition, “The Junk Man Rag.” The club attracted numerous musical stars of the era including Duke Ellington, Billie Holiday, Lena Horne, and Billy Strayhorn. 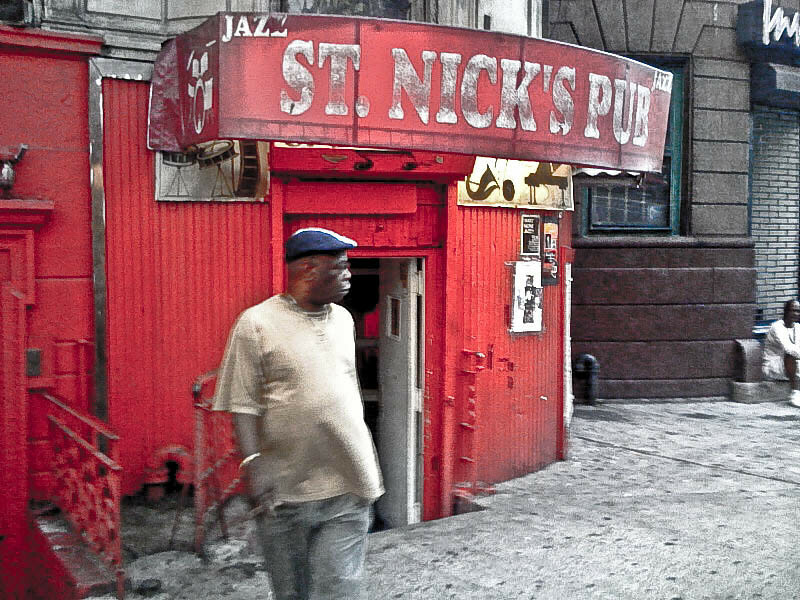 In the 1950s the club’s ambiance switched to opera as the Pink Angel, then returned to jazz in 1960 as St. Nick’s Pub, which it remains today.